Sometimes with big game fishing, its time to go big or go home. We put together a few resources on live baiting using big baits to catch more and bigger fish. This article is a part of our big bait series that we hope will help you spend more time fishing. 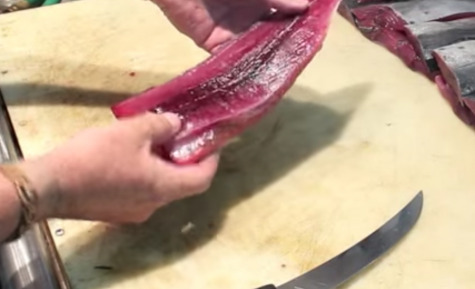 Before you get started you may want to read our article on (DIY Tuna Tubes) because these will be big for keeping your big live baits alive and active. When you think big baits you might automatically think of Central America or Australian marlin fishing where they are constantly pitching big tunas to big marlin. Yes that is an exciting application of big bait fishing, but sometimes its applicable where you are fishing as well. Sometimes you need a big bait to stand out and make your day happen. Below is a video posted by "Land Shark Fishing" on big bait fishing. He is catching nice kings on small bonitas almost instantly (this is also a good technique for catching big wahoo when the little bonita are thick). He then tries out a Cero Mackerel and gets a pleasant surprise! Big Cow Tunas Cow Tunas are caught on the daily in Puerto Vallarta Mexico, using bullet size bonitas as bait for live pitching or on thekite. 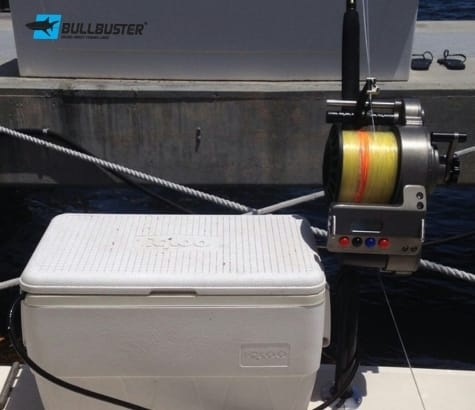 There is no bite that can compare to a 250Lb cow yellowfin crushing a live bonita. This guy was our idol. We will miss his unique and adventurous show. Enjoy learning from a legend.